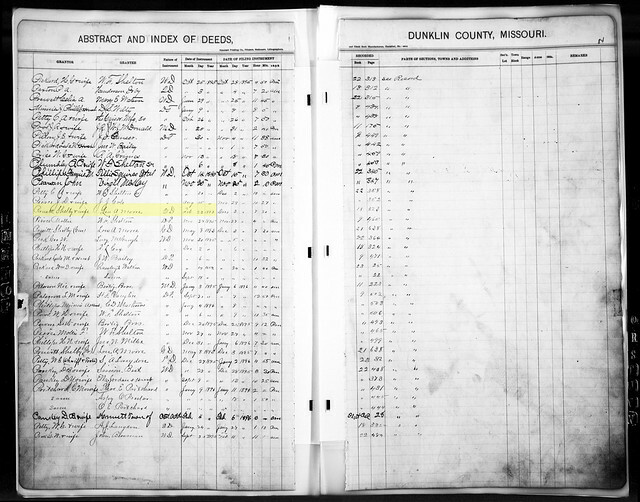 In the same spirit as my census record spreadsheet I have created a list of Copeland marriages in Dunklin County, using the “Missouri Marriage Records, 1805-2002” database at Ancestry.com. 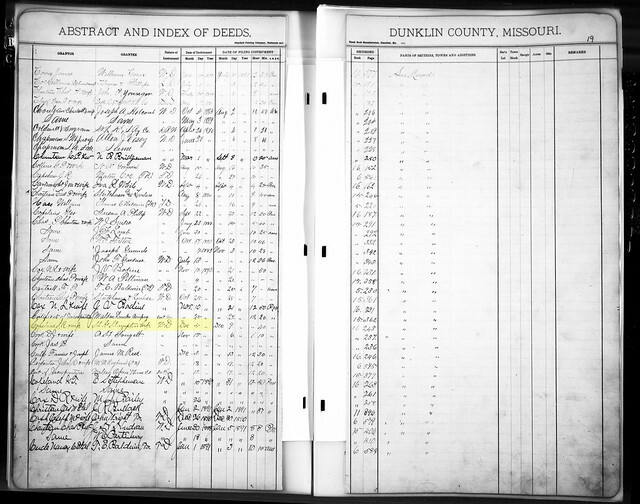 I believe there is some overlap with the “Missouri, Marriages, 1750-1920” database at FamilySearch, which is free. For the purposes of this table I organized the available data by year, and then broke it down by decade. I think this is more helpful for finding individuals based on a given criteria (such as birth year). 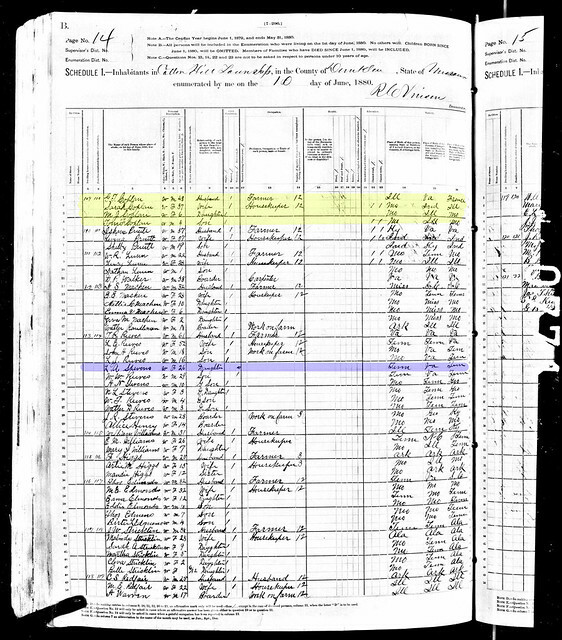 I’ve highlighted the known family members in yellow. Some of the names may not be familiar to you, but I will be going into more detail about them at a later date. This entry was posted in Copeland, Marriages and tagged copeland, dunklin county, marriage records, marriages, spreadsheet on November 3, 2013 by Kelli Copeland Wilson. WEAVER, Dewey L. – Of Flint, age 93, died Thursday, April 20, 2000 at Briarwood Manor. Funeral services will be held 12 noon Monday, April 24, 2000 at the Brown Funeral Home, 1616 Davison Rd., Rev. David Miller officiating. Burial at Flint Memorial Park. Visitation 2-4 and 6-9 p.m. Saturday, 6-9 p.m. Sunday. Mr. Weaver was born March 3, 1907 in Senath, Missouri. He married Dorothy Copeland on October 21, 1934 in Piggott, Arkansas. He was a farmer for over 20 years in Missouri, moving to Flint in 1954 where he was employed at Mead Container Company, retiring in 1972. 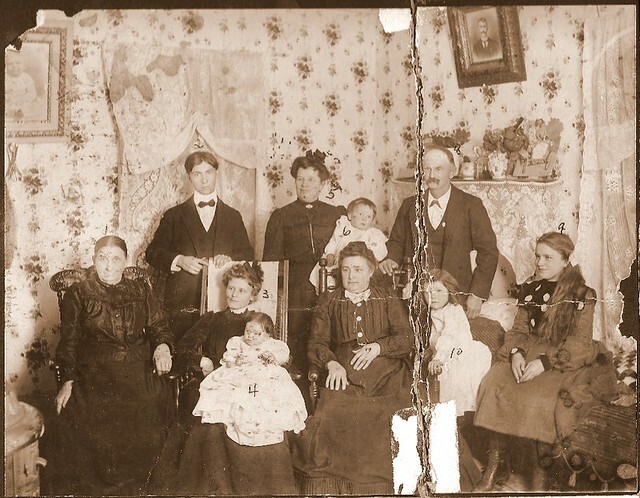 Surviving are: daughter, Judy Steck and husband Walt of Swartz Creek; son, Jerry Weaver and wife Pat of Flint; 8 grandchildren and 16 great-grandchildren. 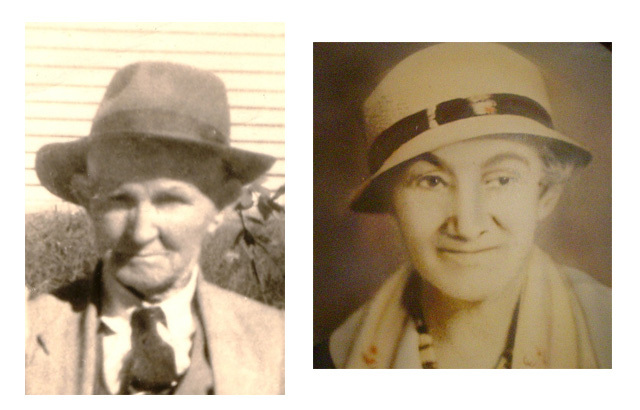 Mr. Weaver was preceded in death by his wife, Dorothy in 1996; his daughter, Bonnie Sue in 1939; and son, Thomas Weaver in 1967. This entry was posted in Copeland, Obituaries and tagged copeland, dewey l. weaver, Dorothy Copeland, obituaries, weaver on October 31, 2013 by Kelli Copeland Wilson.